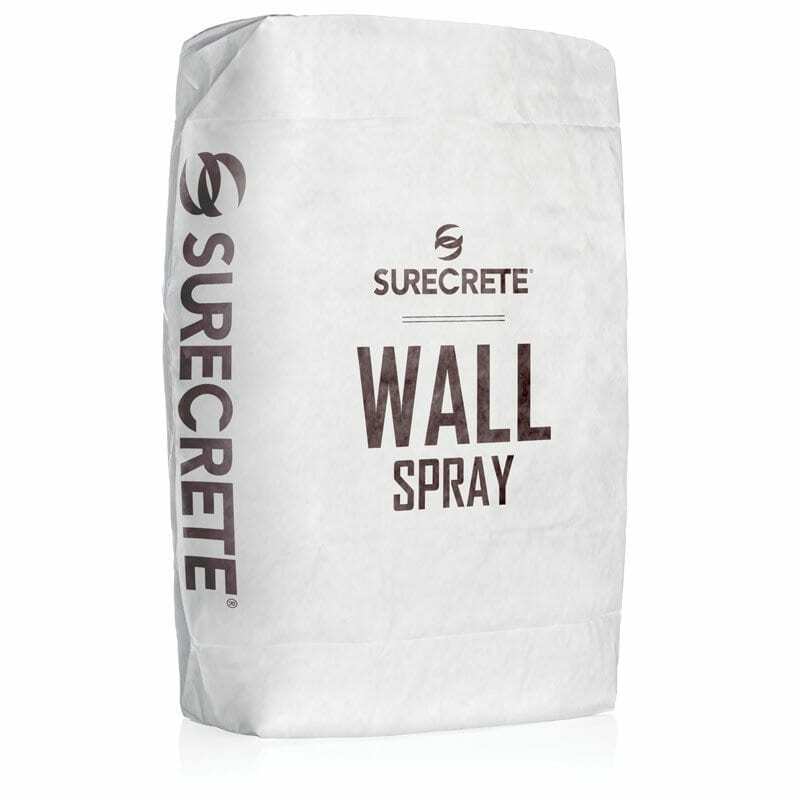 WallSpray is a lightweight thin concrete wall spray overlay mix that can resurface or texture virtually any vertical surface for both indoor and outdoor applications. Wall spray ready-to-go bag mix that is formulated to just add water and any of our 30 standard overlay color additives. Wall Spray™ is a concrete wall spray overlay that is a cement-based overlay designed for both interior and exterior vertical surfaces. It offers a wide variety of finishes from a simple knock-down to a sophisticated faux Venetian Plaster. WallSpray concrete wall overlay may be applied by compressed air spray equipment and by trowel. Restoration, repair, resurfacing, architectural accenting, and surface protection of existing cladding are all realized through Wall Spray. Typical areas include retention walls, entry/accent walls, columns, gable ends, fireplace accents, and any other vertical surfaces or walls. 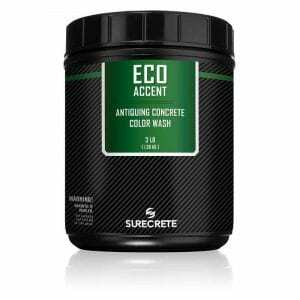 WallSpray concrete wall overlay is formulated to provide excellent bonding to new as well as existing concrete, concrete block, ICF, polystyrene foam, drywall, plaster, plywood, and even painted surfaces. WallSpray™ concrete wall overlay has been formulated as a lightweight, sprayable, copolymer based coating for increasing the flexural strength, fire rating, and “R” value of exterior surfaces. Typical applications include ICF, SIP, EIFS, Concrete Block, Concrete Tilt-Up, EPS and Architectural Foam. For professionals looking for a more versatile and much stronger vertical surface coating than stucco or other related products, Wall Spray can provide a much-needed improvement in your finished surface, while providing savings over an entire coatings project by reducing labor costs and project timelines. And, if you know how to use a hopper gun or other similar equipment, even a homeowner or weekend warrior working on DIY projects can apply the Wall Spray product on their home exterior or even on interior decorative walls. How Do You Apply SureCrete’s Concrete Wall Spray Overlay Concrete Coating? Make sure your surface is flat. If in need of patching, we suggest using Wall Stamp to fill large voids on vertical surfaces. Add 3-1/2 quarts water per 40 lb bag to 5 gal bucket and mix in any color desired for integral coloring of WallSpray concrete wall overlay. Slowly introduce Wall Spray and mix for a minimum of 1 minute once all product has been emptied into container. Scrape the inside of the bucket to make sure there are no “dry pockets” of material that have not been mixed correctly. All exterior applications of Wall Spray are recommended to have a base coat. Apply with a spray gun using a 1/4″ setting, covering surface completely with a minimum of 1/8″ – 3/16″ build-up of material, leaving no bare spots. Depending on desired finished texture, troweling of applied product can be done now. Base coat should dry sufficiently (minimum overnight), and surface should be scraped to remove any loose material. Concrete wall overlay finish coat is applied the same as the base coat described above, with variations only to achieve different desired textures. Surface can accept stains and secondary colorants at this point and is also ready to receive a sealer. Typical applications would utilize an acrylic sealer such as SureSeal Super 20 or Super WB. Can I just trowel on Wall Spray concrete wall overlay? Yes, although it is a much slower process, troweling instead of spraying Wall Spray is a perfectly acceptable application method. Can I mix WallSpray concrete wall overlay in large batches? While mixing in large batches can be done, it is important to never mix up more than can be applied within a 45 minute time frame. Yes, although it is a much slower process, troweling instead of spraying Wall Spray is an entirely acceptable application method.